When David Martínez was four years old, he and h is parents took a bus to the north of Colombia to visit extended family for Christmas. They had many gifts with them, including a ham for the family dinner. But what should have been an uneventful trip turned into a dangerous journey that David would never forget. 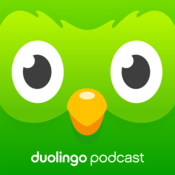 Study materials and a transcript of this episode are available at https://podcast.duolingo.com.